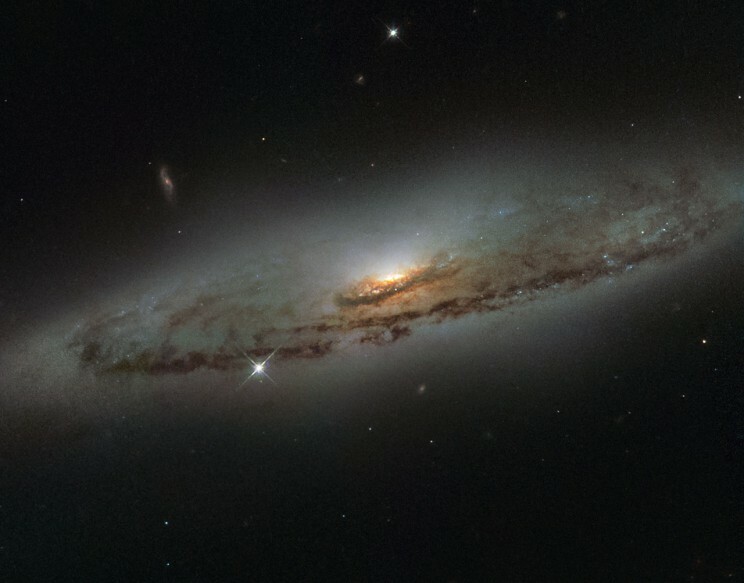 This NASA/ESA Hubble Space Telescope image shows the spiral galaxy NGC 4845, located over 65 million light-years away in the constellation of Virgo (The Virgin). The galaxy’s orientation clearly reveals the galaxy’s striking spiral structure: a flat and dust-mottled disc surrounding a bright galactic bulge. NGC 4845’s glowing centre hosts a gigantic version of a black hole, known as a supermassive black hole. The presence of a black hole in a distant galaxy like NGC 4845 can be inferred from its effect on the galaxy’s innermost stars; these stars experience a strong gravitational pull from the black hole and whizz around the galaxy’s centre much faster than otherwise. From investigating the motion of these central stars, astronomers can estimate the mass of the central black hole — for NGC 4845 this is estimated to be hundreds of thousands times heavier than the Sun. This same technique was also used to discover the supermassive black hole at the centre of our own Milky Way — Sagittarius A* — which hits some four million times the mass of the Sun (potw1340a). The galactic core of NGC 4845 is not just supermassive, but also super-hungry. In 2013 researchers were observing another galaxy when they noticed a violent flare at the centre of NGC 4845. The flare came from the central black hole tearing up and feeding off an object many times more massive than Jupiter. 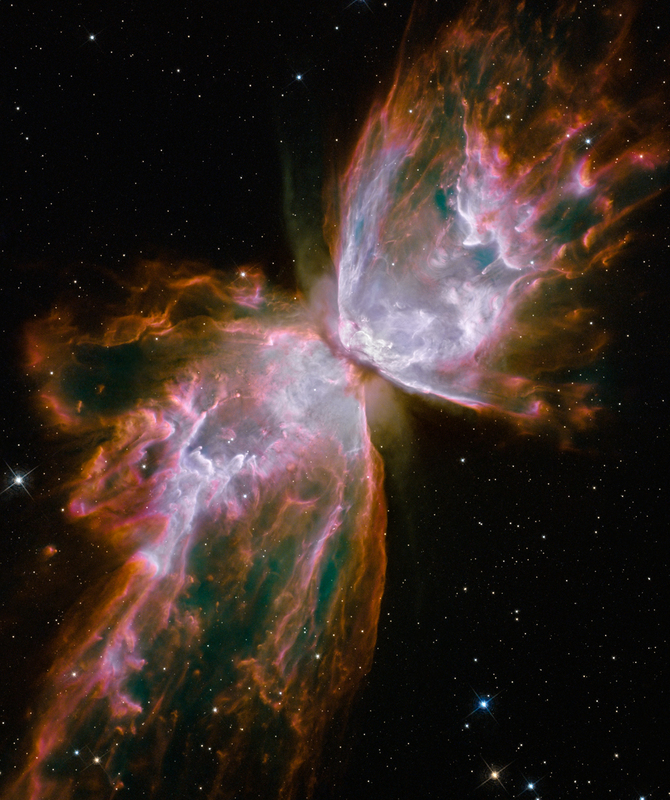 A brown dwarf or a large planet simply strayed too close and was devoured by the hungry core of NGC 4845.